Fish balls are a popular dish in Norway. Fish balls contains minced white fish (cod and haddock), and usually milk, cornflour and salt. They should be served in thick white sauce with curry. Fish balls goes well with boiled potatoes and vegetables like boiled or shredded carrots. Small fish balls are widely used in Norwegian fish soups. 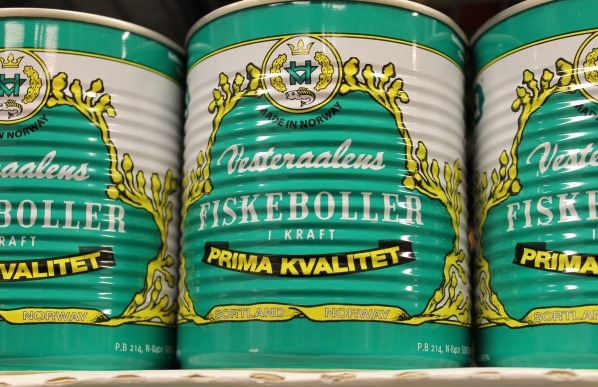 Vesteraalens Canning Factory Ltd produces canned fish products and is best known for the iconic green can containing fish balls. It has almost become a Norwegian national treasure, in good company with Norwegian Brown Cheese (Brunost), ‘Lutefisk’ and milk chocolate. The factory was founded in 1912 by Georg Ellingsen and Peter Thr. Duborgh and was built in Sortland in Vesteraalen where it is still located. For 100 years, there has been a love affair between Norwegians and fish balls from Vesteraalen. When Roald Amundsen went on an expedition through the Northwest Passage (1918 – 1920), he brought Vesteraalens canned food with him. 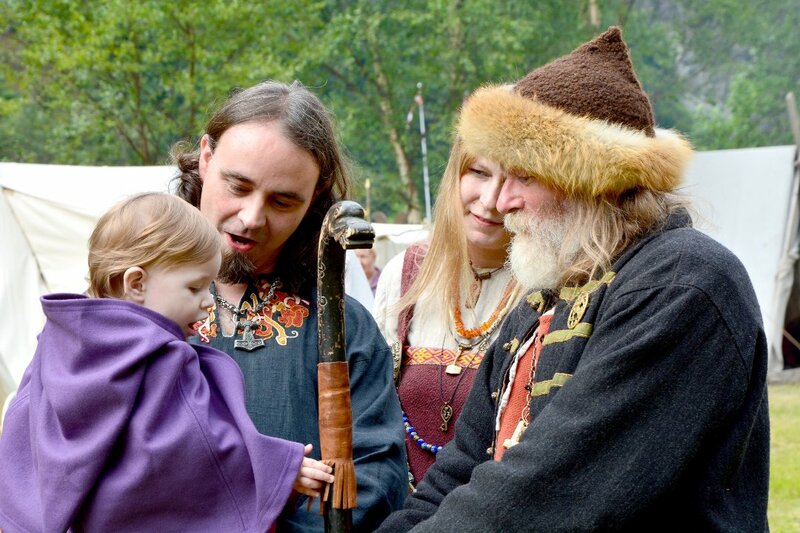 In 2009, when the production was stopped after nearly 100 years of operation, the Norwegian people protested. Facebook groups were created, numerous newspaper articles were written and eventually the people won: In August 2009 Vesteraalens AS reopened with new owners. Melt butter over low heat. Whisk in the flour. Add fish stock (about 1 ¼ cup/ 3 dl) and the milk. Bring to a boil, stirring constantly over low heat. Add white pepper, curry powder and shred chives. Turn down the heat and add the fish balls for about 15 min. NB! Be careful not to add to much salt as the fish stock is quite salty. Serve with carrots and potatoes. Was the 2009 shut-down when they stopped making their delicious whale meat balls in brown sauce (gravy)?